So you’ve taken voice over classes, learning every minute detail about copy interpretation, voice tone, a natural delivery, and sincerity. You've your commercial voice over demo reel in the hands of every casting director and agent in town. All of this hard work and preparation is about to pay off. The phone rings and you’ve just been invited to your first audition! This is where the tire hits the pavement. You know you have the talent and skills to be an amazing voice actor and the only thing standing in your way is that pesky audition. But don’t fret, here are five simple tricks to ensure you’ll have a great audition! 1 – Vocal strength – The audition actually starts the night before. Just like a singer who will perform the next day, you want to start preparing your instrument as soon as you know you have an audition. And for your instrument to be in tip top shape you will want to lay off any beverages or activities that will cause any dryness or stickiness in your mouth and throat. Refrain from drinking milk, sodas and smoking, which can all affect your voice. Drink plenty of water to stay hydrated during the audition. While you don’t need to be a complete mute, attempt to refrain from talking too much, as you will want your vocal cords to be nice and strong for the following day. You should also make sure to hit the hay nice and early. This will set you up for success by making sure you can arrive early to look through the script, work on a few vocal exercises to warm your voice up and not have to rush to your appointment. If you are in a stressed state of mind, this will translate into your audition. 2 – Dress For Success – While you do want to appear professional you don’t have to wear your best Armani suit. Business casual is the way to go, particularly when starting out in the voice-over industry. Your favorite jogging suit may imply that you are indifferent about the quality of your work. Avoid wearing any noisy clothing that may be picked up by the microphone. For women and men, avoid wearing any dangling earrings or jewelry that will clang together. Try not to wear any material that will make swishing noises while you are acting out your lines. You want to feel confident and comfortable. 3 – Script Analysis – Depending on when you receive the script, you will have a small amount of time to read through it to get comfortable. A simple thing you can do to be prepared to work with the script, is bring a pencil! A pencil, and not a pen, will allow you to scribble and erase notes as you read through, giving yourself visual cues as to where you should place more emphasis on certain words, pauses you might include, phonetic pronunciations, etc. Now that you are armed with your pencil and script, give it an initial read through or two. With this first read through, try to get a feel for what the message the advertiser is trying to convey. Once you can feel that vibe, get creative! Give yourself a few different options of sounds you think might work with the copy. Everyone loves options and so will the director. 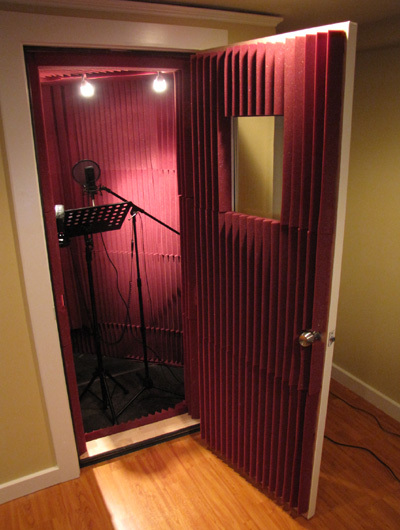 4 – Microphone Positioning – Ok, you are in the sound booth and it is your time to shine. You feel fantastic and you know exactly how you are going to deliver the lines. This is where you will continue to set yourself up for success. Don’t be intimidated by all of the fancy equipment! Stand where the mic will best perform for you. 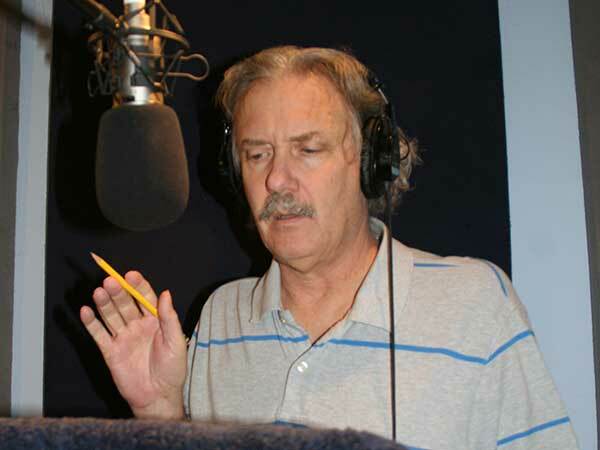 As you have most likely learned in your voice over workshops, there is a sweet spot when working with a mic, where you are not too close and yet not too far. This sweet spot will pick up all of the nuances your voice has to offer without any pops or clicks and will enhance the best frequencies in your voice. Take a moment to find that sweet spot that will best represent your sound. 5 – Teamwork – While you may feel like you are directly in the spotlight of the sound booth, realize that you have a teammate. The director on the other side of the sound booth window is there to work with you. While running through the script let him know you have a couple different approaches but at the same time make sure to listen to his direction. He will be able to take your unique sound and mold it into what the advertisers are looking for. Following these five simple techniques will ensure that you give the best audition possible. However, realize working in the voice-over industry is a marathon and not a sprint. With more and more options popping up for the average Joe to break into the industry, there is more opportunity. Make sure you take advantage of all possible voice-over clients from traditional ad agency auditions to industrial and online work. And then being prepared for each audition will pay off! I love auditioning. You have to like auditioning because it's the backbone of the voice over selection process. And you may do 10, 20 even 40 auditions before you get a job. Auditions allow me to practice and perfect my skills. And to get jobs! If you're a painter you paint. If you're a musician you jam. If you're a voice talent, to stay sharp, you audition. Many actors fret after an audition: "I did such a great audition! Why didn't I get the job??" The bottom line is you have no control over who they choose and why. Once you've auditioned all of that is beyond your control. So make great artistic decisions and do the best you can. And the let it go out into the universe. Don't spend time worrying about what you should have done. Save that creativity and energy for the next audition. In the long run, it's a numbers game. Put out good auditions and the jobs will come.